As discussions with Flipkart did not fructify, Snapdeal has finally decided to go solo. It has got a fresh lease of life and eager to try the market as Snapdeal 2.0. The company had earlier got an offer of $900 – 950 mn from Flipkart, it was speculated. Flipkart was trying to buy the competitor for peanuts which wasn’t perhaps acceptable to promoters and founders. 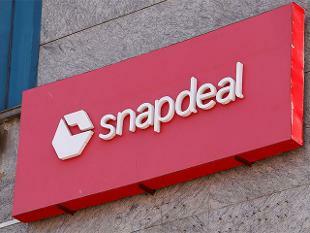 Snapdeal will continue to focus on its ecommerce business as the company has also got rid of its non-core assets such as Freecharge, which it sold to Axis Bank for $385 mn. It would be interesting to see how Snapdeal behaves in the market and tries to face its main challengers such as Flipkart and Amazon. While it would be tough for the company to come out of the crises, the company has a chance to outperform Flipkart as it has reduced its burden through the sale of non-core businesses. However, only time will tell how this decision pans out. Softbank supports Snapdeal 2.0 as discussion fails with Flipkart 0 out of 5 based on 0 ratings. 0 user reviews.